We’re back with part 15 of Overheard in Product—a series where we round up all of the tantalizing conversations from product folks that you may have missed on the web last week. This week, we talk about grey designs, user-focused conversion funnels, rating systems, go-to-market strategies, and productivity hacks. 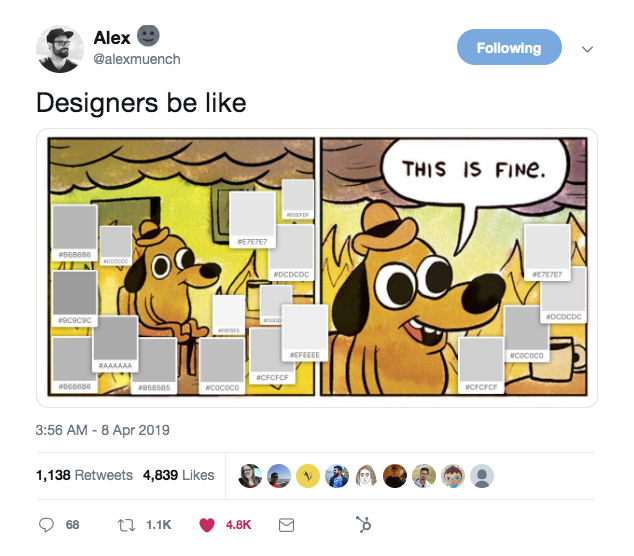 Alex Muench, Product Software Design at Twist, shared a meme that’s a little too true. Almost 5,000 people felt the pain. Sounds like a case for design systems. Is when users actually want to do them, according to UX Designer Samuel Hulick. ‍Food for thought: The best way to make sure your conversion funnel is user-centric is to talk to your users—here are 3 ways PMs can let users lead development. Who has two thumbs and is concerned about ratings? Luke Wroblewski, Product Director at Google, gave pointed feedback about pointed feedback. 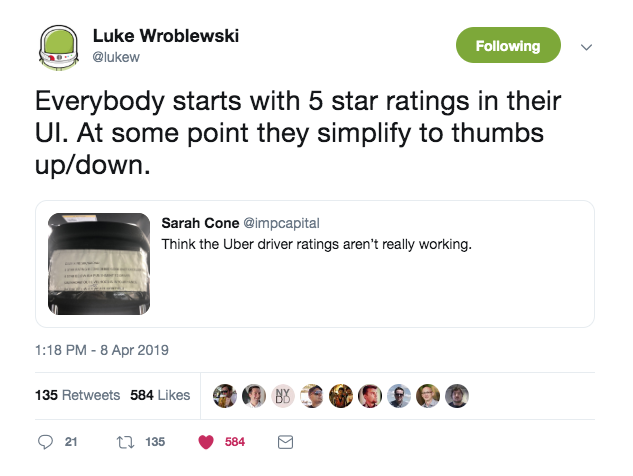 ‍Food for thought: When should you use a stars vs a thumbs up/down rating system? How can you simplify any rating systems you have in your product? What unexpected behaviors (within or outside of the product) does your measurement system cause? Brianne Kimmel, startup investor, commented on Paul Graham’s caution that enterprise startups can be killed by slow sales and development. 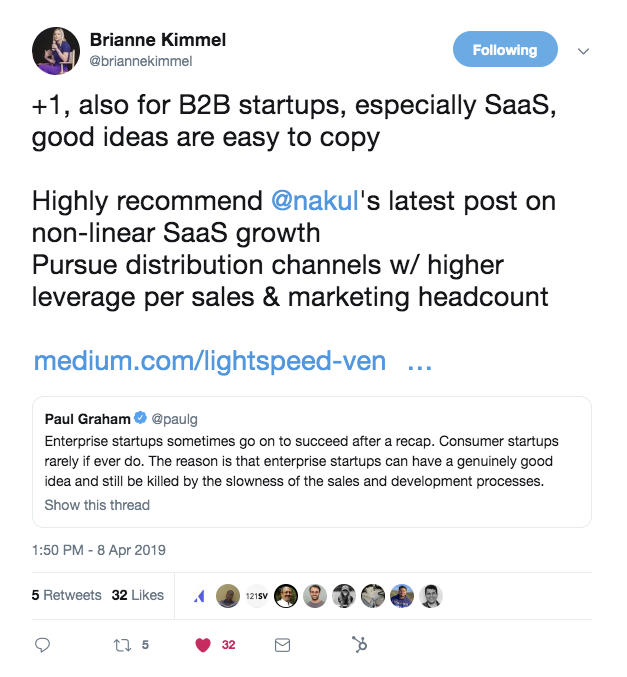 She linked to Nakul Mandan’s thoughts on non-linear growth in B2B startups where he discusses the benefits of two approaches—going self-serve or having a large enterprise selling motion. Feeling short on time? Fast Company published these doable 8 productivity hacks that actually feel doable. It really hit the spot for us this week—especially because the final item is actually one of our core company values.